Two people have been injured as a result of explosions in artillery warehouses of the Ministry of Defense near Balaklia, Kharkiv region, the National Police of Ukraine in the Kharkiv region has said. "Two wounded people were taken to the hospital. We are not aware of the age and the severity yet. 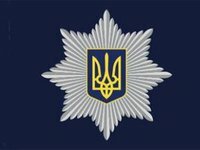 We are clarifying the situation," the communications department of the National Police in the Kharkiv region told Interfax-Ukraine. The interlocutor of the agency also said that the evacuation zone had been expanded to ten km.